I was asked by Polly Pattullo of Papillote Press to contribute the introduction to Phyllis Shand Allfrey’s 1953 novel The Orchid House. For me, this was a special request because it came from someone who I admired personally and professionally, and who had also done so much work in recovering the image of Allfrey here in Dominica. I discovered Allfrey’s writing during my college and graduate school work, although her name had been mentioned while I was growing up. 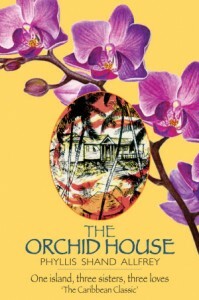 Including The Orchid House in my doctoral dissertation on reading practices introduced me to new ways of reading Caribbean literature and, more importantly, new lens through which I could view the complex history of my island home. Most people of my generation must have come to know the name Phyllis Shand Allfrey when, during our school years, we were fascinated by the buzz of film crews and British accents during the shooting of The Orchid House mini-series for BBC television in 1990. The name Phyllis Shand Allfrey was not a popular name during my time in school, despite the contributions of this politician, journalist and literary writer to Dominica’s advancement in both politics and the arts. Despite her integral role in forming the Dominica Labour Party and the West Indies Federation and her prolific bibliography, Mrs. Allfrey remained a mere speck of dust in our history lessons. As much as the sparkle of the film gave a glimpse into her life and showcased our beautiful scenery, the story of The Orchid House and the work of Mrs. Allfrey did not make an impact in Dominica. However, in the last several years, a committed few have reintroduced Allfrey to Dominica. 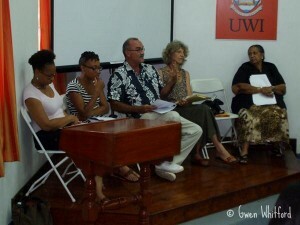 In 2012, for example, the Nature Island Literary Festival (NILF) screened a couple of the episodes during its annual weekend activities and the audience was indeed excited by the recognition of scenes, extras and featured actors from right here in Dominica. One of the actors was Dr. Lennox Honychurch, Allfrey’s friend and the curator of her political and literary works, who was also a member of a discussion panel on her work during that year’s festival’s proceeding. Another member of the panel was Polly Pattullo, publisher of Papillote Press, who had worked to package Allfrey’s writing for a local and international audience – the collection of short stories, It Falls into Place and the collection of poetry Love for an Island. The work of Papillote Press and Ms. Pattullo in increasing Allfrey’s visibility is immeasurable and the impact has been invaluable. 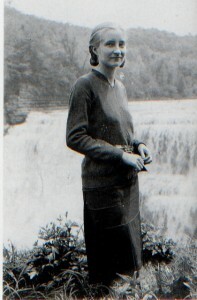 Allfrey’s biographer Lisa Paravisini-Gebert worked closely with both Honychurch and Pattullo and wrote the introduction to an American edition of the novel as well (printed 20 years ago). My first reading of The Orchid House was that American edition, which would eventually led me to be one of the panelists on Allfrey at that 2012 NILF. It was only during my doctoral study, several years after leaving Dominica that I got to explore this classic novel and get to know this woman who had so much influence on my country in ways no one had ever taught me. First published in 1953, the work is a real portrait of a shrinking class of white and wealthy Dominicans who faced the changing social conditions of the Caribbean post-slavery with both anxiety and excitement. And yet, in 1953, Allfrey would not yet have had the kind of career that would leave its mark on Dominican politics for decades to come, but charted out her trajectory in politics and journalism in the almost prophetic plot of the sisters’ adult lives in Dominica. The nuances of those experiences at such an important period of social and political change for Dominica cannot be captured in textbooks or Powerpoint slides. Strong storytelling, like in this novel, give depth to the thoughts and feelings of those experiencing these changes. With this novel, Allfrey captures life for whites, creoles and black people as their worlds collide and they must change their thinking from being separate classes to being one nation. The timing couldn’t be better to bring this novel to a local audience, especially a school-age readership. With so much technology at our fingertips, the world closer seems to us and it is easy to forget to keep our own histories and perspectives as alive as the foreign stories that the Internet offers. Moreover, it is important for our students to understand the complexity of Dominican life – the various personalities and backgrounds of our people – in order to cultivate their tolerance and humanity. It is important for them to see the impact of our struggles for independence and modernization through narratives rather than just memorized dates, so that they can value the freedoms we now enjoy. It is important for them to learn Allfrey’s name and appreciate the paths she paved for women, for workers and for writers to exercise freedom of expression. I’m elated to be part of this new edition and hope that parents, teachers and students will join in revisiting our rich history through this wonderful adventure story set right here in our homeland.